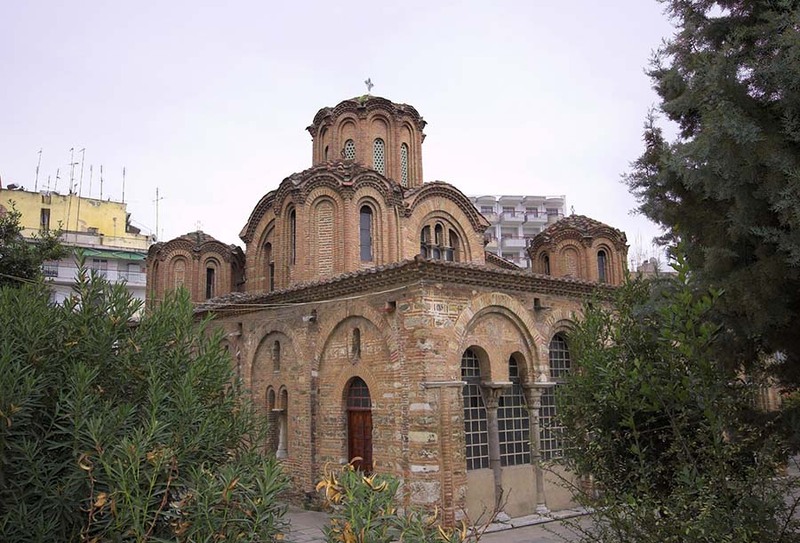 At the center of Thessaloniki, at the junction of Iasonidou avenue with Arrianou street, there is the church of Agios Panteleimon, the construction of which is placed in the late 13th-early 14th century. This is a complex four-columned registered cruciform church with a narthex and an enclosed arcade at its western, southern and northern side, which in the east ends in chapels. The arcade was demolished in the early 20th century, but not the chapels that remained in place. In the center of the building there is an octagonal dome, while covered with a dome is, also ,the center of the narthex. It is worth noting that in nowadays arcade there were four more domes. On the east side of the monument there is shaped a five-sided arch with trilobate window in its middle. Inside the church of Agios Panteleimon, mostly on the intention and diaconicon, there are kept few murals of the first decade of the 14th century, which depict Theotoko with Jesus Christ and prominent saints and prelates of the Church. The performances are characterized by a transitional style, as they combine elements of the 13th century painting with new artistic trends that emerged in the 14th century. The decoration of the monument complete other paintings, which are much later than previous ones, as they were made in the meanwhile of repairs in the building in early 20th century. The church originally was not dedicated to Agios Panteleimon; according to the prevailing opinion, it was the cathedral of the well-known, from historical sources, Monastery of Perivleptos, which was built in honor of Panagia. 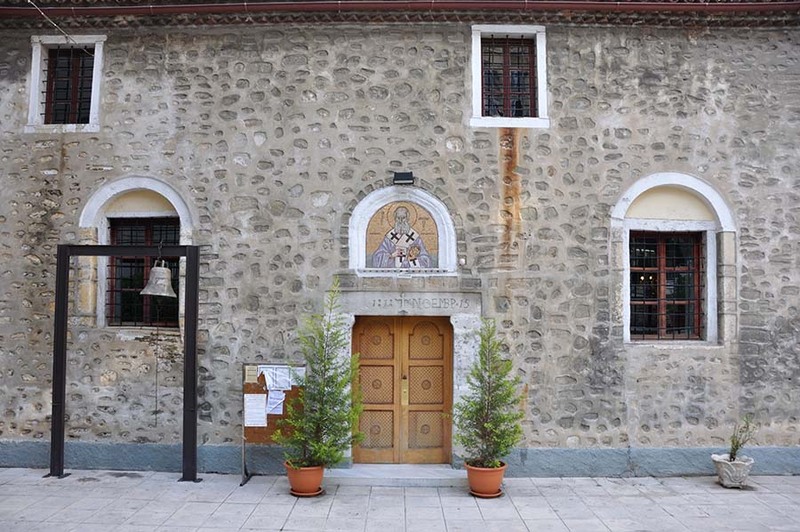 This monastery was founded by the monk Isaac, who between 1295 and 1315 served as bishop of Thessaloniki, named Iakovos. 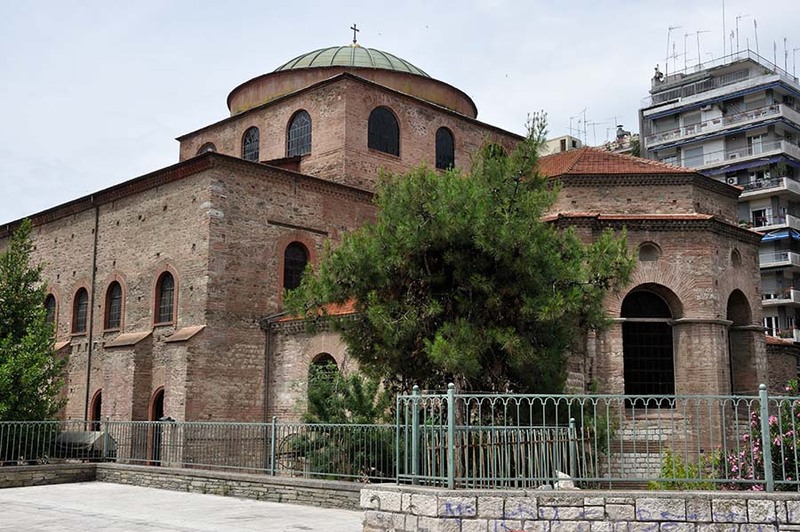 The church during the Turkish occupation, after the mid-16th century, was converted into a muslim mosque and was renamed into İshakiye mosque. The walls of the monument, both internally and externally, were whitewashed, while at the enclosure there were built a minaret (of which there is saved the base) and a marble fountain.